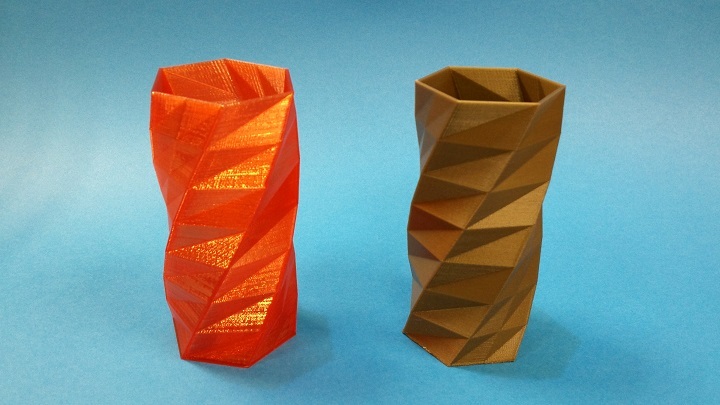 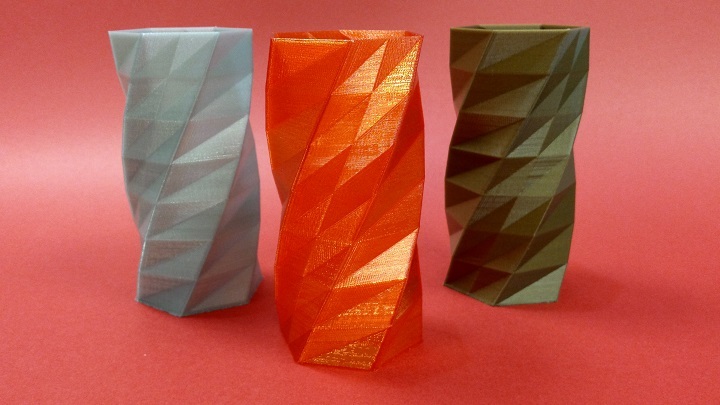 The twisted vases were a treat to print. 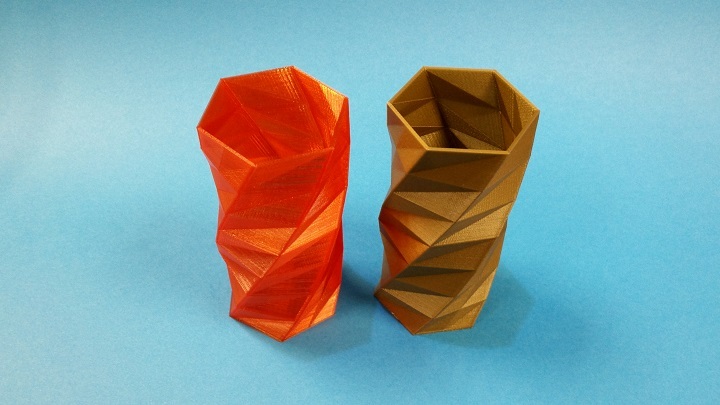 The file doesn’t actually contain a vase, but a complete shape. 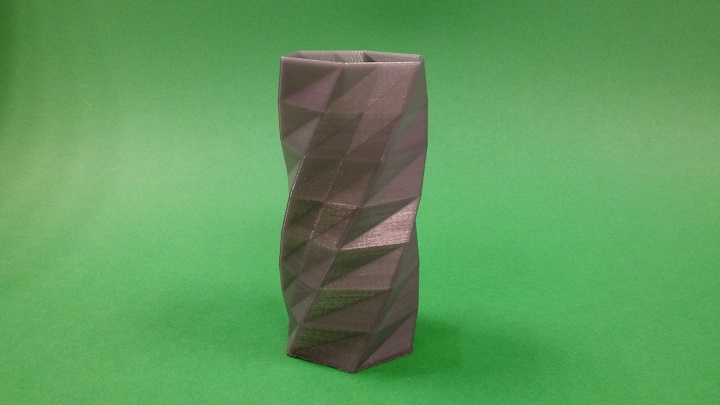 By changing the number of top layers to zero, and removing all infill in the Simplify3D settings, the shape is transformed into a vase.